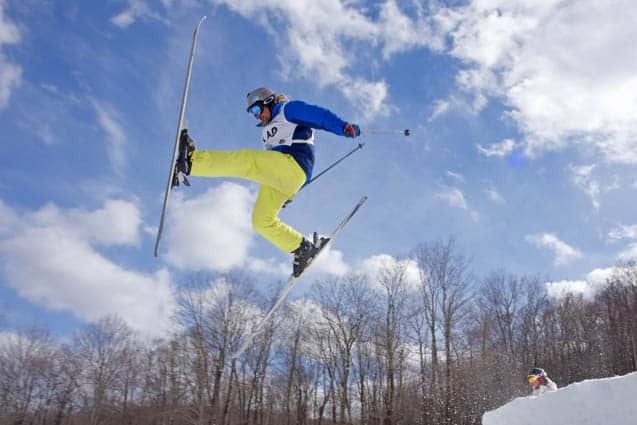 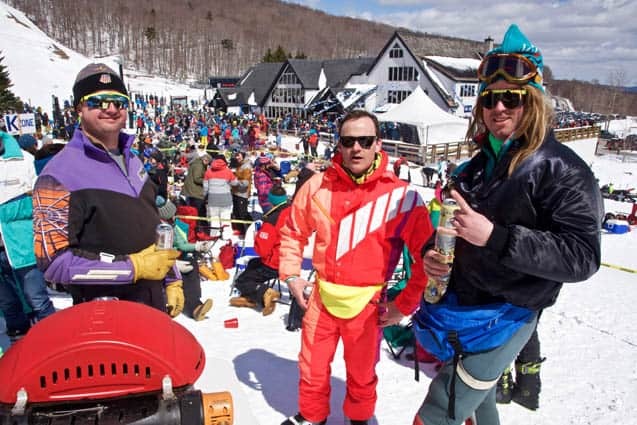 Part of Killington Resort’s Nor’Beaster, its annual spring celebration, the Bear Mountain Mogul Challenge was held this past Saturday, April 7. 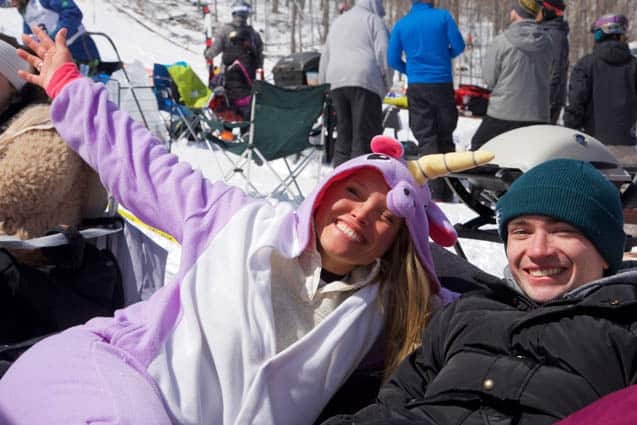 Participants and spectators wore brightly colored apparel, many in retro or just plain old fun costumes – there was even a unicorn – to enliven the slopeside parties. 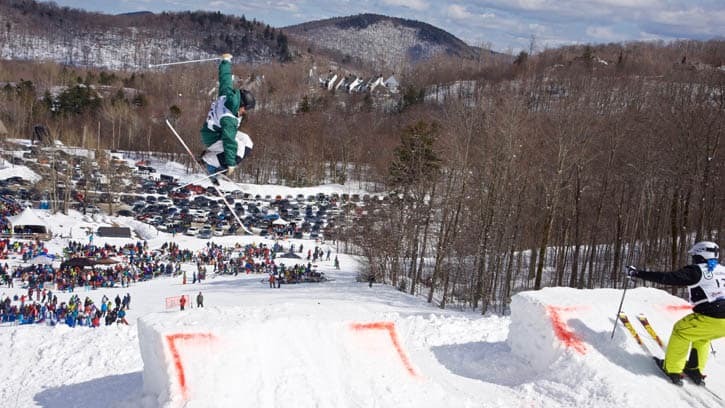 Competitors took to the bumps of Outer Limits at Bear Mountain, challenging each other for best trick. 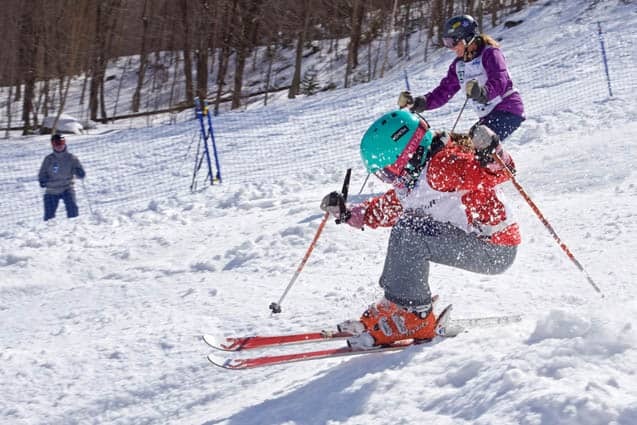 Timothy Massucco took first place in men’s overall; with Katherine DiMasco taking first in women’s overall.